SUNROOF MOONROOF, NAVIGATION GPS NAV, VEHICLE SOLD AS IS WITH NO IMPLIED WARRANTY, RECENT TRADE IN, 4MATIC®. Recent Arrival! Clean CARFAX. 19/28 City/Highway MPG MERCEDES BENZ OF GREENWICH...WHERE THE RELATIONSHIP IS EVERYTHING. Air Conditioning, Climate Control, Dual Zone Climate Control, Cruise Control, Power Steering, Power Windows, Power Mirrors, Leather Steering Wheel, Leather Shifter, Power Drivers Seat, Power Passenger Seat, Memory Seat Position, Tachometer, Digital Info Center, Homelink System, Tilt Steering Wheel, Telescoping Steering Wheel, Steering Wheel Radio Controls, Sunroof, Moonroof, Driver Airbag, Passenger Airbag, Side Airbags, Keyless Entry, Security System, ABS Brakes, Traction Control, Dynamic Stability, Rear Defogger, Fog Lights, Intermittent Wipers, AM/FM, CD Player, Anti-Theft, Alloy Wheels, Sport Package, 8 Speakers, DVD-Audio, Premium audio system: COMAND®, Radio data system, Weather band radio, Automatic temperature control, Head restraints memory, Power driver seat, Steering wheel memory, Four wheel independent suspension, 4-Wheel Disc Brakes, Anti-whiplash front head restraints, Dual front impact airbags, Dual front side impact airbags, Emergency communication system: mbrace®, Front anti-roll bar, Knee airbag, Low tire pressure warning, Occupant sensing airbag, Overhead airbag, Power adjustable front head restraints, Power adjustable rear head restraints, Rear anti-roll bar, Brake assist, Delay-off headlights, Fully automatic headlights, Auto-dimming door mirrors, Bodyside moldings, Bumpers: body-color, Heated door mirrors, Power door mirrors, Turn signal indicator mirrors, 14-Way Power Adjustable Front Seats, Auto-dimming Rear-View mirror, Driver door bin, Driver vanity mirror, Front reading lights, Genuine wood console insert, Genuine wood dashboard insert, Genuine wood door panel insert, Illuminated entry, Outside temperature display, Overhead console, Passenger vanity mirror, Rear reading lights, Rear seat center armrest, Telescoping steering wheel, Front Bucket Seats, Front Center Armrest, MB-Tex Upholstery, Passenger door bin, Rain sensing wipers, NAVIGATION GPS NAV, VEHICLE SOLD AS IS WITH NO IMPLIED WARRANTY, RECENT TRADE IN Aux. Audio Input, Bluetooth®, Child Proof Door Locks, Cup Holders, Daytime Running Lights, Heated Mirrors, Overhead Console, Remote Fuel Door, Remote Trunk Lid, Roll Stability Control, Side Curtain Airbags, Tire Pressure Monitor, Vanity Mirrors - Dealer not responsible for typographical errors of any sort, including but not limited to pricing. Exact mileages may vary. -SUNROOF MOONROOF, NAVIGATION GPS NAV, VEHICLE SOLD AS IS WITH NO IMPLIED WARRANTY, RECENT TRADE IN, 4MATIC®. INCLUDES WARRANTY, SUNROOF MOONROOF, PREMIUM PKG, 4MATIC®, Comfort Suspension, Elegance Line, Luxury Sedan Package, Speed & Load Index. CARFAX One-Owner. Clean CARFAX. Odometer is 32069 miles below market average! MERCEDES BENZ OF GREENWICH...WHERE THE RELATIONSHIP IS EVERYTHING. Air Conditioning, Climate Control, Cruise Control, Power Steering, Power Windows, Power Door Locks, Power Passenger Seat, Security System, Traction Control, Heated Mirrors - Dealer not responsible for typographical errors of any sort, including but not limited to pricing. Exact mileages may vary. -INCLUDES WARRANTY, SUNROOF MOONROOF, PREMIUM PKG, 4MATIC®, Comfort Suspension, Elegance Line, Luxury Sedan Package, Speed & Load Index. MERCEDES BENZ CERTIFIED, SPORTS PKG, PANORAMIC ROOF, MBRACE, PREMIUM PKG, 4MATIC®, Burmester Premium Sound, COMAND® Navigation & Voice Control, KEYLESS GO, LED Headlamps, Multimedia Package, Navigation Map Updates Included For 3 Years, Premium 1 Package, Rear-View Camera, SiriusXM Satellite Radio, SiriusXM Traffic and Weather Services, Sport Package. Clean CARFAX. Certified. Mercedes-Benz Certified Pre-Owned Details: * Roadside Assistance * Vehicle History * Transferable Warranty * 165 Point Inspection * Includes Trip Interruption Reimbursement and 7 days/500 miles Exchange Privilege * Warranty Deductible: $0 * Limited Warranty: 12 Month/Unlimited Mile beginning after new car warranty expires or from certified purchase date Odometer is 3954 miles below market average! 24/31 City/Highway MPG MERCEDES BENZ OF GREENWICH...WHERE THE RELATIONSHIP IS EVERYTHING. Air Conditioning, Climate Control, Dual Zone Climate Control, Cruise Control, Power Steering, Power Windows, Power Mirrors, Leather Steering Wheel, Power Drivers Seat, Power Passenger Seat, Memory Seat Position, Clock, Tachometer, Digital Info Center, Homelink System, Tilt Steering Wheel, Telescoping Steering Wheel, Steering Wheel Radio Controls, Driver Airbag, Passenger Airbag, Side Airbags, Keyless Entry, Security System, ABS Brakes, Traction Control, Dynamic Stability, Rear Defogger, Fog Lights, Intermittent Wipers, AM/FM, CD Player, Anti-Theft, Alloy Wheels, MB-Tex Upholstery, 4-Wheel Disc Brakes, Front Bucket Seats, Front Center Armrest, Anti-whiplash front head restraints, Auto-dimming door mirrors, Automatic temperature control, Brake assist, Bumpers: body-color, Delay-off headlights, Driver door bin, Driver vanity mirror, Dual front impact airbags, Dual front side impact airbags, Four wheel independent suspension, Front anti-roll bar, Front reading lights, Fully automatic headlights, Head restraints memory, Heated door mirrors, Illuminated entry, Knee airbag, Low tire pressure warning, Occupant sensing airbag, Outside temperature display, Overhead airbag, Overhead console, Passenger door bin, Passenger vanity mirror, Power door mirrors, Power driver seat, Radio data system, Rain sensing wipers, Rear anti-roll bar, Rear reading lights, Rear seat center armrest, Split folding rear seat, Steering wheel memory, Telescoping steering wheel, Turn signal indicator mirrors, Weather band radio, Auto-dimming Rear-View mirror, Child-Seat-Sensing Airbag, 8 Speakers, Compass, Premium audio system: COMAND®, Internet access capable: Send2Benz, Emergency communication system: mbrace®2 Aux. Audio Input, Bluetooth®, Body Side Moldings, Carpeted Floor Mats, Center Arm Rest, Child Proof Door Locks, Daytime Running Lights, Heated Mirrors, Overhead Console, Premium Sound, Rear Fog Lamps, Roll Stability Control, Side Curtain Airbags, Tire Pressure Monitor, Vanity Mirrors - Dealer not responsible for typographical errors of any sort, including but not limited to pricing. Exact mileages may vary. -MERCEDES BENZ CERTIFIED, SPORTS PKG, PANORAMIC ROOF, MBRACE, PREMIUM PKG, 4MATIC®, Burmester Premium Sound, COMAND® Navigation & Voice Control, KEYLESS GO, LED Headlamps, Multimedia Package, Navigation Map Updates Included For 3 Years, Premium 1 Package, Rear-View Camera, SiriusXM Satellite Radio, SiriusXM Traffic and Weather Services, Sport Package. MERCEDES BENZ CERTIFIED, SUNROOF MOONROOF, PREMIUM PKG, 4MATIC®, Active Multicontour Driver Seat, Adaptive Highbeam Assist, Comfort Suspension For Elegance, Control Code, Corner-Illuminating Lamps, Electronic Trunk Closer, Full LED Headlamps with Active Curve Illumination, Hands-Free Access, Headlamp Cleaning System, KEYLESS GO Package, Lighting Package, Lighting Package (P35), Luxury Model, Software Control for Lowbeam Lamps. Clean CARFAX. Certified. Mercedes-Benz Certified Pre-Owned Details: * Roadside Assistance * Transferable Warranty * Vehicle History * Includes Trip Interruption Reimbursement and 7 days/500 miles Exchange Privilege * Warranty Deductible: $0 * Limited Warranty: 12 Month/Unlimited Mile beginning after new car warranty expires or from certified purchase date * 165 Point Inspection Odometer is 7511 miles below market average! MERCEDES BENZ OF GREENWICH...WHERE THE RELATIONSHIP IS EVERYTHING. Air Conditioning, Climate Control, Dual Zone Climate Control, Cruise Control, Power Steering, Power Windows, Power Mirrors, Leather Steering Wheel, Leather Shifter, Power Drivers Seat, Power Passenger Seat, Memory Seat Position, Wood Trim, Clock, Tachometer, Digital Info Center, Homelink System, Tilt Steering Wheel, Telescoping Steering Wheel, Steering Wheel Radio Controls, Sunroof, Moonroof, Driver Airbag, Passenger Airbag, Side Airbags, Keyless Entry, Security System, ABS Brakes, Traction Control, Dynamic Stability, Rear Defogger, Fog Lights, Intermittent Wipers, AM/FM, CD Player, Anti-Theft, Control Code, Lighting Package, Lighting Package (P35), Luxury Model, 8 Speakers, DVD-Audio, Premium audio system: COMAND®, Radio data system, Weather band radio, Automatic temperature control, Electronic Trunk Closer, Head restraints memory, Power driver seat, Steering wheel memory, Comfort Suspension For Elegance, Four wheel independent suspension, 4-Wheel Disc Brakes, Anti-whiplash front head restraints, Dual front impact airbags, Dual front side impact airbags, Emergency communication system: mbrace®2, Front anti-roll bar, Hands-Free Access, Knee airbag, Low tire pressure warning, Occupant sensing airbag, Overhead airbag, Power adjustable front head restraints, Power adjustable rear head restraints, Rear anti-roll bar, Brake assist, Adaptive Highbeam Assist, Delay-off headlights, Fully automatic headlights, Headlamp Cleaning System, Auto-dimming door mirrors, Bodyside moldings, Bumpers: body-color, Corner-Illuminating Lamps, Full LED Headlamps with Active Curve Illumination, Heated door mirrors, Power door mirrors, Software Control for Lowbeam Lamps, Turn signal indicator mirrors, Auto-dimming Rear-View mirror, Driver door bin, Driver vanity mirror, Front reading lights, Genuine wood console insert, Genuine wood dashboard insert, Genuine wood door panel insert, Illuminated entry, Outside temperature display, Overhead console, Passenger vanity mirror, Power Adjustable Front Seats, Rear reading lights, Rear seat center armrest, Telescoping steering wheel, Active Multicontour Driver Seat, Front Bucket Seats, Front Center Armrest, MB-Tex Upholstery, Passenger door bin, Wheels: 17 5-Spoke Wheels, Rain sensing wipers, MERCEDES BENZ CERTIFIED, PREMIUM PKG Aux. Audio Input, Bluetooth®, Body Side Moldings, Carpeted Floor Mats, Center Arm Rest, Child Proof Door Locks, Daytime Running Lights, Electronic Trunk Closer, Heated Mirrors, Overhead Console, Premium Sound, Rear Fog Lamps, Remote Fuel Door, Remote Trunk Lid, Roll Stability Control, Side Curtain Airbags, Tire Pressure Monitor, Vanity Mirrors - Dealer not responsible for typographical errors of any sort, including but not limited to pricing. Exact mileages may vary. -MERCEDES BENZ CERTIFIED, SUNROOF MOONROOF, PREMIUM PKG, 4MATIC®, Active Multicontour Driver Seat, Adaptive Highbeam Assist, Comfort Suspension For Elegance, Control Code, Corner-Illuminating Lamps, Electronic Trunk Closer, Full LED Headlamps with Active Curve Illumination, Hands-Free Access, Headlamp Cleaning System, KEYLESS GO Package, Lighting Package, Lighting Package (P35), Luxury Model, Software Control for Lowbeam Lamps. MERCEDES BENZ CERTIFIED, NAVIGATION GPS NAV, PANORAMIC ROOF, MBRACE, PREMIUM PKG, BLIND SPOT ASSIST, COMAND® System with Hard Drive Navigation, DVD Player, Multimedia Package, Rear-View Camera, Single CD/DVD Player, SiriusXM Traffic & Weather, Voice Control. CARFAX One-Owner. Clean CARFAX. Certified. Mercedes-Benz Certified Pre-Owned Details: * 165 Point Inspection * Vehicle History * Includes Trip Interruption Reimbursement and 7 days/500 miles Exchange Privilege * Roadside Assistance * Transferable Warranty * Limited Warranty: 12 Month/Unlimited Mile beginning after new car warranty expires or from certified purchase date * Warranty Deductible: $0 24/32 City/Highway MPG MERCEDES BENZ OF GREENWICH...WHERE THE RELATIONSHIP IS EVERYTHING. Air Conditioning, Climate Control, Dual Zone Climate Control, Cruise Control, Power Steering, Power Windows, Power Mirrors, Leather Steering Wheel, Power Drivers Seat, Power Passenger Seat, Memory Seat Position, Roof Rack, Clock, Tachometer, Digital Info Center, Tilt Steering Wheel, Telescoping Steering Wheel, Steering Wheel Radio Controls, Driver Airbag, Passenger Airbag, Side Airbags, Keyless Entry, Security System, ABS Brakes, Traction Control, Dynamic Stability, Rear Defogger, Fog Lights, Intermittent Wipers, AM/FM, CD Player, Anti-Theft, Alloy Wheels, Multimedia Package, 8 Speakers, COMAND® System with Hard Drive Navigation, DVD Player, Premium audio system: COMAND®, Radio data system, Radio: Audio 20 CD with Garmin Navigation Pre-Wiring, Single CD/DVD Player, Weather band radio, Automatic temperature control, Power driver seat, Voice Control, Four wheel independent suspension, 4-Wheel Disc Brakes, Child-Seat-Sensing Airbag, Dual front impact airbags, Dual front side impact airbags, Emergency communication system, Front anti-roll bar, Knee airbag, Low tire pressure warning, Occupant sensing airbag, Overhead airbag, Rear anti-roll bar, Power Liftgate, Brake assist, Rear-View Camera, Delay-off headlights, Fully automatic headlights, Bumpers: body-color, Heated door mirrors, Power door mirrors, Spoiler, Turn signal indicator mirrors, Driver door bin, Driver vanity mirror, Front reading lights, Illuminated entry, Outside temperature display, Overhead console, Passenger vanity mirror, Rear reading lights, Rear seat center armrest, SiriusXM Traffic & Weather, Telescoping steering wheel, Front Bucket Seats, Front Center Armrest, MB-Tex Upholstery, Split folding rear seat, Passenger door bin, Rain sensing wipers, 4.60 Axle Ratio, MERCEDES BENZ CERTIFIED, NAVIGATION GPS NAV, PANORAMIC ROOF, MBRACE, PREMIUM PKG, BLIND SPOT ASSIST Aux. Audio Input, Bluetooth®, Carpeted Floor Mats, Center Arm Rest, Child Proof Door Locks, Daytime Running Lights, Heated Mirrors, Overhead Console, Panoramic Roof, Power Lift Gate, Rear Fog Lamps, Rear Spoiler, Rear Spoiler, Remote Trunk Lid, Roll Stability Control, Side Curtain Airbags, Tire Pressure Monitor, Vanity Mirrors - Dealer not responsible for typographical errors of any sort, including but not limited to pricing. Exact mileages may vary. -MERCEDES BENZ CERTIFIED, NAVIGATION GPS NAV, PANORAMIC ROOF, MBRACE, PREMIUM PKG, BLIND SPOT ASSIST, COMAND® System with Hard Drive Navigation, DVD Player, Multimedia Package, Rear-View Camera, Single CD/DVD Player, SiriusXM Traffic & Weather, Voice Control. MERCEDES BENZ CERTIFIED, PANORAMIC ROOF, RECENT TRADE IN, MBRACE, 4MATIC®, COMAND® Navigation & Voice Control, Multimedia Package, Navigation Map Updates Included For 3-years, Rear-View Camera, SiriusXM Traffic & Weather Services. Priced below KBB Fair Purchase Price! Certified. Mercedes-Benz Certified Pre-Owned Details: * Transferable Warranty * Vehicle History * Limited Warranty: 12 Month/Unlimited Mile beginning after new car warranty expires or from certified purchase date * Roadside Assistance * 165 Point Inspection * Warranty Deductible: $0 * Includes Trip Interruption Reimbursement and 7 days/500 miles Exchange Privilege Odometer is 6305 miles below market average! 21/29 City/Highway MPG MERCEDES BENZ OF GREENWICH...WHERE THE RELATIONSHIP IS EVERYTHING. Air Conditioning, Climate Control, Dual Zone Climate Control, Cruise Control, Power Steering, Power Windows, Power Mirrors, Leather Steering Wheel, Power Drivers Seat, Power Passenger Seat, Memory Seat Position, Wood Trim, Clock, Tachometer, Digital Info Center, Homelink System, Tilt Steering Wheel, Telescoping Steering Wheel, Steering Wheel Radio Controls, Driver Airbag, Passenger Airbag, Side Airbags, Keyless Entry, Security System, ABS Brakes, Traction Control, Dynamic Stability, Rear Defogger, Fog Lights, Intermittent Wipers, AM/FM, CD Player, Anti-Theft, Alloy Wheels, Heated Sport Seats, MB-Tex Upholstery, 4-Wheel Disc Brakes, Front Bucket Seats, Front Center Armrest, Spoiler, Anti-whiplash front head restraints, Auto-dimming door mirrors, Automatic temperature control, Brake assist, Bumpers: body-color, Delay-off headlights, Driver door bin, Driver vanity mirror, Dual front impact airbags, Dual front side impact airbags, Four wheel independent suspension, Front anti-roll bar, Front reading lights, Fully automatic headlights, Genuine wood console insert, Genuine wood door panel insert, Head restraints memory, Heated door mirrors, Heated front seats, Illuminated entry, Knee airbag, Low tire pressure warning, Occupant sensing airbag, Outside temperature display, Overhead airbag, Overhead console, Passenger door bin, Passenger vanity mirror, Power door mirrors, Power driver seat, Radio data system, Rain sensing wipers, Rear anti-roll bar, Rear reading lights, Rear seat center armrest, Split folding rear seat, Sport steering wheel, Steering wheel memory, Telescoping steering wheel, Turn signal indicator mirrors, Weather band radio, Front beverage holders, Auto-dimming Rear-View mirror, 13 Speakers, Child-Seat-Sensing Airbag, Compass, Premium audio system: COMAND®, Emergency communication system: mbrace®2 Aux. Audio Input, Bluetooth®, Carpeted Floor Mats, Center Arm Rest, Child Proof Door Locks, Daytime Running Lights, Front Heated Seats, Heated Mirrors, Overhead Console, Rear Fog Lamps, Rear Spoiler, Rear Spoiler, Roll Stability Control, Side Curtain Airbags, Sport Seats, Tire Pressure Monitor, Vanity Mirrors - Dealer not responsible for typographical errors of any sort, including but not limited to pricing. Exact mileages may vary. -MERCEDES BENZ CERTIFIED, PANORAMIC ROOF, RECENT TRADE IN, MBRACE, 4MATIC®, COMAND® Navigation & Voice Control, Multimedia Package, Navigation Map Updates Included For 3-years, Rear-View Camera, SiriusXM Traffic & Weather Services. MERCEDES BENZ CERTIFIED, RECENT TRADE IN, PREMIUM PKG, 4MATIC®, COMAND® System with Hard-Drive Navigation, Comfort Suspension For Elegance, harman/kardon® Logic 7® Surround Sound System, Heated Front Seats, Luxury Model, Mirror Package, Power Folding Mirrors, Power Rear Window Sunshade, Premium 1 Package, Rear-View Camera, SIRIUS Satellite Radio, Split-Folding Rear Seats. Clean CARFAX. Certified. Mercedes-Benz Certified Pre-Owned Details: * Limited Warranty: 12 Month/Unlimited Mile beginning after new car warranty expires or from certified purchase date * 165 Point Inspection * Vehicle History * Warranty Deductible: $0 * Roadside Assistance * Includes Trip Interruption Reimbursement and 7 days/500 miles Exchange Privilege * Transferable Warranty 20/28 City/Highway MPG MERCEDES BENZ OF GREENWICH...WHERE THE RELATIONSHIP IS EVERYTHING. Air Conditioning, Climate Control, Dual Zone Climate Control, Cruise Control, Power Steering, Power Windows, Power Mirrors, Leather Steering Wheel, Leather Shifter, Power Drivers Seat, Power Passenger Seat, Memory Seat Position, Wood Trim, Clock, Tachometer, Digital Info Center, Homelink System, Tilt Steering Wheel, Telescoping Steering Wheel, Steering Wheel Radio Controls, Sunroof, Moonroof, Driver Airbag, Passenger Airbag, Side Airbags, Keyless Entry, Security System, ABS Brakes, Traction Control, Dynamic Stability, Rear Defogger, Fog Lights, Intermittent Wipers, AM/FM, CD Player, Anti-Theft, Sport Package, Wheels: 17 5-Spoke Wheels, Power Adjustable Front Seats, MB-Tex Upholstery, 4-Wheel Disc Brakes, Front Bucket Seats, Front Center Armrest, Anti-whiplash front head restraints, Auto-dimming door mirrors, Automatic temperature control, Bodyside moldings, Brake assist, Bumpers: body-color, DVD-Audio, Delay-off headlights, Driver door bin, Driver vanity mirror, Dual front impact airbags, Dual front side impact airbags, Four wheel independent suspension, Front anti-roll bar, Front reading lights, Fully automatic headlights, Genuine wood console insert, Genuine wood dashboard insert, Genuine wood door panel insert, Head restraints memory, Heated door mirrors, Illuminated entry, Knee airbag, Low tire pressure warning, Occupant sensing airbag, Outside temperature display, Overhead airbag, Overhead console, Passenger door bin, Passenger vanity mirror, Power adjustable front head restraints, Power adjustable rear head restraints, Power door mirrors, Power driver seat, Radio data system, Rain sensing wipers, Rear anti-roll bar, Rear reading lights, Rear seat center armrest, Steering wheel memory, Telescoping steering wheel, Turn signal indicator mirrors, Weather band radio, Auto-dimming Rear-View mirror, 8 Speakers, Rear door bins, Premium audio system: COMAND®, Emergency communication system: mbrace®2 Aux. Audio Input, Bluetooth®, Body Side Moldings, Carpeted Floor Mats, Center Arm Rest, Child Proof Door Locks, Daytime Running Lights, Heated Mirrors, Overhead Console, Premium Sound, Rear Fog Lamps, Remote Fuel Door, Remote Trunk Lid, Roll Stability Control, Side Curtain Airbags, Tire Pressure Monitor, Vanity Mirrors - Dealer not responsible for typographical errors of any sort, including but not limited to pricing. Exact mileages may vary. -MERCEDES BENZ CERTIFIED, RECENT TRADE IN, PREMIUM PKG, 4MATIC®, COMAND® System with Hard-Drive Navigation, Comfort Suspension For Elegance, harman/kardon® Logic 7® Surround Sound System, Heated Front Seats, Luxury Model, Mirror Package, Power Folding Mirrors, Power Rear Window Sunshade, Premium 1 Package, Rear-View Camera, SIRIUS Satellite Radio, Split-Folding Rear Seats. MERCEDES BENZ CERTIFIED, PANORAMIC ROOF, MBRACE, PREMIUM PKG, 4MATIC®, COMAND® Navigation & Voice Control, KEYLESS GO, Multimedia Package, Navigation Map Updates Included For 3 Years, Premium 1 Package, SiriusXM Satellite Radio, SiriusXM Traffic and Weather Services, Surround Light Mirror Mounted Entry Lamps. Recent Arrival! Clean CARFAX. Certified. Mercedes-Benz Certified Pre-Owned Details: * Roadside Assistance * Vehicle History * Warranty Deductible: $0 * 165 Point Inspection * Limited Warranty: 12 Month/Unlimited Mile beginning after new car warranty expires or from certified purchase date * Includes Trip Interruption Reimbursement and 7 days/500 miles Exchange Privilege * Transferable Warranty Odometer is 2847 miles below market average! 24/31 City/Highway MPG MERCEDES BENZ OF GREENWICH...WHERE THE RELATIONSHIP IS EVERYTHING. Air Conditioning, Climate Control, Dual Zone Climate Control, Cruise Control, Power Steering, Power Windows, Power Mirrors, Leather Steering Wheel, Power Drivers Seat, Power Passenger Seat, Memory Seat Position, Clock, Tachometer, Digital Info Center, Homelink System, Tilt Steering Wheel, Telescoping Steering Wheel, Steering Wheel Radio Controls, Driver Airbag, Passenger Airbag, Side Airbags, Keyless Entry, Security System, ABS Brakes, Traction Control, Dynamic Stability, Rear Defogger, Fog Lights, Intermittent Wipers, AM/FM, CD Player, Alloy Wheels, Front Bucket Seats, MB-Tex Upholstery, 4-Wheel Disc Brakes, Front Center Armrest, Anti-whiplash front head restraints, Auto-dimming door mirrors, Automatic temperature control, Brake assist, Bumpers: body-color, Delay-off headlights, Driver door bin, Driver vanity mirror, Dual front impact airbags, Dual front side impact airbags, Emergency communication system, Four wheel independent suspension, Front anti-roll bar, Front reading lights, Fully automatic headlights, Head restraints memory, Heated door mirrors, Illuminated entry, Knee airbag, Low tire pressure warning, MP3 decoder, Occupant sensing airbag, Outside temperature display, Overhead airbag, Overhead console, Passenger door bin, Passenger vanity mirror, Power door mirrors, Power driver seat, Radio data system, Rain sensing wipers, Rear anti-roll bar, Rear reading lights, Rear seat center armrest, Split folding rear seat, Steering wheel memory, Telescoping steering wheel, Turn signal indicator mirrors, Weather band radio, Auto-dimming Rear-View mirror, Child-Seat-Sensing Airbag, 8 Speakers, Compass, Premium audio system: COMAND® Aux. Audio Input, Bluetooth®, Body Side Moldings, Carpeted Floor Mats, Center Arm Rest, Child Proof Door Locks, Daytime Running Lights, Heated Mirrors, Overhead Console, Premium Sound, Rear Fog Lamps, Remote Trunk Lid, Roll Stability Control, Side Curtain Airbags, Tire Pressure Monitor, Vanity Mirrors - Dealer not responsible for typographical errors of any sort, including but not limited to pricing. Exact mileages may vary. -MERCEDES BENZ CERTIFIED, PANORAMIC ROOF, MBRACE, PREMIUM PKG, 4MATIC®, COMAND® Navigation & Voice Control, KEYLESS GO, Multimedia Package, Navigation Map Updates Included For 3 Years, Premium 1 Package, SiriusXM Satellite Radio, SiriusXM Traffic and Weather Services, Surround Light Mirror Mounted Entry Lamps. MERCEDES BENZ CERTIFIED, NAVIGATION GPS NAV, PANORAMIC ROOF, MBRACE, PREMIUM PKG, 4MATIC®. CARFAX One-Owner. Clean CARFAX. Certified. Mercedes-Benz Certified Pre-Owned Details: * Roadside Assistance * Includes Trip Interruption Reimbursement and 7 days/500 miles Exchange Privilege * Warranty Deductible: $0 * Transferable Warranty * Limited Warranty: 12 Month/Unlimited Mile beginning after new car warranty expires or from certified purchase date * 165 Point Inspection * Vehicle History Odometer is 10947 miles below market average! 20/28 City/Highway MPG MERCEDES BENZ OF GREENWICH...WHERE THE RELATIONSHIP IS EVERYTHING. Air Conditioning, Climate Control, Dual Zone Climate Control, Cruise Control, Power Steering, Power Windows, Power Mirrors, Leather Steering Wheel, Leather Shifter, Power Drivers Seat, Power Passenger Seat, Memory Seat Position, Wood Trim, Clock, Tachometer, Digital Info Center, Homelink System, Tilt Steering Wheel, Telescoping Steering Wheel, Steering Wheel Radio Controls, Sunroof, Moonroof, Driver Airbag, Passenger Airbag, Side Airbags, Keyless Entry, Security System, ABS Brakes, Traction Control, Dynamic Stability, Rear Defogger, Fog Lights, Intermittent Wipers, AM/FM, CD Player, Anti-Theft, Sport Package, Wheels: 17 5-Spoke Wheels, Power Adjustable Front Seats, MB-Tex Upholstery, 4-Wheel Disc Brakes, Front Bucket Seats, Front Center Armrest, Anti-whiplash front head restraints, Auto-dimming door mirrors, Automatic temperature control, Bodyside moldings, Brake assist, Bumpers: body-color, DVD-Audio, Delay-off headlights, Driver door bin, Driver vanity mirror, Dual front impact airbags, Dual front side impact airbags, Four wheel independent suspension, Front anti-roll bar, Front reading lights, Fully automatic headlights, Genuine wood console insert, Genuine wood dashboard insert, Genuine wood door panel insert, Head restraints memory, Heated door mirrors, Illuminated entry, Knee airbag, Low tire pressure warning, Occupant sensing airbag, Outside temperature display, Overhead airbag, Overhead console, Passenger door bin, Passenger vanity mirror, Power adjustable front head restraints, Power adjustable rear head restraints, Power door mirrors, Power driver seat, Radio data system, Rain sensing wipers, Rear anti-roll bar, Rear reading lights, Rear seat center armrest, Steering wheel memory, Telescoping steering wheel, Turn signal indicator mirrors, Weather band radio, Auto-dimming Rear-View mirror, 8 Speakers, Rear door bins, Premium audio system: COMAND®, Emergency communication system: mbrace®2 Aux. Audio Input, Bluetooth®, Body Side Moldings, Carpeted Floor Mats, Center Arm Rest, Child Proof Door Locks, Daytime Running Lights, Heated Mirrors, Overhead Console, Premium Sound, Rear Fog Lamps, Remote Fuel Door, Remote Trunk Lid, Roll Stability Control, Side Curtain Airbags, Tire Pressure Monitor, Vanity Mirrors - Dealer not responsible for typographical errors of any sort, including but not limited to pricing. Exact mileages may vary. -MERCEDES BENZ CERTIFIED, NAVIGATION GPS NAV, PANORAMIC ROOF, MBRACE, PREMIUM PKG, 4MATIC®. MERCEDES BENZ CERTIFIED, SUNROOF MOONROOF, MBRACE, PREMIUM PKG, BLIND SPOT ASSIST, HARD TO FIND SPORT INTERIOR, 4MATIC®, Artico Instrument Cluster, COMAND® Navigation & Voice Control, Multimedia Package, Navigation Map Updates Included For 3 Years, SiriusXM Traffic and Weather Services, Sport Package. CARFAX One-Owner. Clean CARFAX. Certified. Mercedes-Benz Certified Pre-Owned Details: * 165 Point Inspection * Vehicle History * Transferable Warranty * Warranty Deductible: $0 * Includes Trip Interruption Reimbursement and 7 days/500 miles Exchange Privilege * Roadside Assistance * Limited Warranty: 12 Month/Unlimited Mile beginning after new car warranty expires or from certified purchase date Odometer is 8273 miles below market average! 24/31 City/Highway MPG MERCEDES BENZ OF GREENWICH...WHERE THE RELATIONSHIP IS EVERYTHING. Air Conditioning, Climate Control, Dual Zone Climate Control, Cruise Control, Power Steering, Power Windows, Power Mirrors, Leather Steering Wheel, Power Drivers Seat, Power Passenger Seat, Memory Seat Position, Clock, Tachometer, Digital Info Center, Homelink System, Tilt Steering Wheel, Telescoping Steering Wheel, Steering Wheel Radio Controls, Sunroof, Moonroof, Driver Airbag, Passenger Airbag, Side Airbags, Keyless Entry, Security System, ABS Brakes, Traction Control, Dynamic Stability, Rear Defogger, Fog Lights, Intermittent Wipers, AM/FM, CD Player, Anti-Theft, Multimedia Package, Sport Package, 8 Speakers, Premium audio system: COMAND®, Radio data system, Weather band radio, Automatic temperature control, Head restraints memory, Power driver seat, Steering wheel memory, Four wheel independent suspension, 4-Wheel Disc Brakes, Anti-whiplash front head restraints, Child-Seat-Sensing Airbag, Dual front impact airbags, Dual front side impact airbags, Emergency communication system: mbrace®2, Front anti-roll bar, Knee airbag, Low tire pressure warning, Occupant sensing airbag, Overhead airbag, Rear anti-roll bar, Brake assist, Delay-off headlights, Fully automatic headlights, Auto-dimming door mirrors, Bumpers: body-color, Heated door mirrors, Power door mirrors, Turn signal indicator mirrors, Artico Instrument Cluster, Auto-dimming Rear-View mirror, COMAND® Navigation & Voice Control, Compass, Driver door bin, Driver vanity mirror, Front reading lights, Illuminated entry, Navigation Map Updates Included For 3 Years, Outside temperature display, Overhead console, Passenger vanity mirror, Rear reading lights, Rear seat center armrest, SiriusXM Traffic and Weather Services, Telescoping steering wheel, Front Bucket Seats, Front Center Armrest, MB-Tex Upholstery, Split folding rear seat, Passenger door bin, Rain sensing wipers, MERCEDES BENZ CERTIFIED, MBRACE, PREMIUM PKG, BLIND SPOT ASSIST, HARD TO FIND SPORT INTERIOR Aux. Audio Input, Bluetooth®, Body Side Moldings, Carpeted Floor Mats, Center Arm Rest, Child Proof Door Locks, Daytime Running Lights, Heated Mirrors, Overhead Console, Premium Sound, Rear Fog Lamps, Roll Stability Control, Side Curtain Airbags, Tire Pressure Monitor, Vanity Mirrors - Dealer not responsible for typographical errors of any sort, including but not limited to pricing. Exact mileages may vary. -MERCEDES BENZ CERTIFIED, SUNROOF MOONROOF, MBRACE, PREMIUM PKG, BLIND SPOT ASSIST, HARD TO FIND SPORT INTERIOR, 4MATIC®, Artico Instrument Cluster, COMAND® Navigation & Voice Control, Multimedia Package, Navigation Map Updates Included For 3 Years, SiriusXM Traffic and Weather Services, Sport Package. MERCEDES BENZ CERTIFIED, NAVIGATION GPS NAV, PANORAMIC ROOF, MBRACE, PREMIUM PKG, 4MATIC®, Adaptive Highbeam Assist, Full-LED Headlamps with Active Curve Illumination, Lighting Package, Sport Package. CARFAX One-Owner. Clean CARFAX. Certified. Mercedes-Benz Certified Pre-Owned Details: * Warranty Deductible: $0 * Transferable Warranty * 165 Point Inspection * Includes Trip Interruption Reimbursement and 7 days/500 miles Exchange Privilege * Limited Warranty: 12 Month/Unlimited Mile beginning after new car warranty expires or from certified purchase date * Roadside Assistance * Vehicle History 20/28 City/Highway MPG MERCEDES BENZ OF GREENWICH...WHERE THE RELATIONSHIP IS EVERYTHING. Air Conditioning, Climate Control, Dual Zone Climate Control, Cruise Control, Power Steering, Power Windows, Power Mirrors, Leather Steering Wheel, Leather Shifter, Power Drivers Seat, Power Passenger Seat, Memory Seat Position, Wood Trim, Clock, Tachometer, Digital Info Center, Homelink System, Tilt Steering Wheel, Telescoping Steering Wheel, Steering Wheel Radio Controls, Sunroof, Moonroof, Driver Airbag, Passenger Airbag, Side Airbags, Keyless Entry, Security System, ABS Brakes, Traction Control, Dynamic Stability, Rear Defogger, Fog Lights, Intermittent Wipers, AM/FM, CD Player, Anti-Theft, Alloy Wheels, Sport Package, Power Adjustable Front Seats, MB-Tex Upholstery, Steering wheel memory, Telescoping steering wheel, Turn signal indicator mirrors, Weather band radio, Auto-dimming Rear-View mirror, 8 Speakers, Premium audio system: COMAND®, Forward collision: Collision Prevention Assist Plus mitigation, Emergency communication system: mbrace®2, 4-Wheel Disc Brakes, Front Bucket Seats, Front Center Armrest, Anti-whiplash front head restraints, Auto-dimming door mirrors, Automatic temperature control, Bodyside moldings, Brake assist, Bumpers: body-color, DVD-Audio, Delay-off headlights, Driver door bin, Driver vanity mirror, Dual front impact airbags, Dual front side impact airbags, Four wheel independent suspension, Front anti-roll bar, Front reading lights, Fully automatic headlights, Genuine wood console insert, Genuine wood dashboard insert, Genuine wood door panel insert, Head restraints memory, Heated door mirrors, Illuminated entry, Knee airbag, Low tire pressure warning, Occupant sensing airbag, Outside temperature display, Overhead airbag, Overhead console, Passenger door bin, Passenger vanity mirror, Power adjustable front head restraints, Power adjustable rear head restraints, Power door mirrors, Power driver seat, Radio data system, Rain sensing wipers, Rear anti-roll bar, Rear reading lights, Rear seat center armrest Aux. Audio Input, Bluetooth®, Body Side Moldings, Carpeted Floor Mats, Center Arm Rest, Child Proof Door Locks, Daytime Running Lights, Heated Mirrors, Overhead Console, Premium Sound, Rear Fog Lamps, Remote Fuel Door, Remote Trunk Lid, Roll Stability Control, Side Curtain Airbags, Tire Pressure Monitor, Vanity Mirrors - Dealer not responsible for typographical errors of any sort, including but not limited to pricing. Exact mileages may vary. -MERCEDES BENZ CERTIFIED, NAVIGATION GPS NAV, PANORAMIC ROOF, MBRACE, PREMIUM PKG, 4MATIC®, Adaptive Highbeam Assist, Full-LED Headlamps with Active Curve Illumination, Lighting Package, Sport Package. MERCEDES BENZ CERTIFIED, MBRACE, PREMIUM PKG, 4MATIC®, COMAND® Navigation, Comfort Suspension For Elegance, harman/kardon® Logic 7® Surround Sound System, Heated Front Seats, Luxury Model, Mirror Package, Multi-Year Update, Power Folding Mirrors, Power Rear Window Sunshade, Premium Package, SIRIUS Satellite Radio, Split-Folding Rear Seats. CARFAX One-Owner. Clean CARFAX. Certified. Mercedes-Benz Certified Pre-Owned Details: * Transferable Warranty * Warranty Deductible: $0 * Limited Warranty: 12 Month/Unlimited Mile beginning after new car warranty expires or from certified purchase date * 165 Point Inspection * Vehicle History * Includes Trip Interruption Reimbursement and 7 days/500 miles Exchange Privilege * Roadside Assistance Odometer is 562 miles below market average! 20/28 City/Highway MPG MERCEDES BENZ OF GREENWICH...WHERE THE RELATIONSHIP IS EVERYTHING. Air Conditioning, Climate Control, Dual Zone Climate Control, Cruise Control, Power Steering, Power Windows, Power Mirrors, Leather Steering Wheel, Leather Shifter, Power Drivers Seat, Power Passenger Seat, Memory Seat Position, Wood Trim, Clock, Tachometer, Digital Info Center, Homelink System, Tilt Steering Wheel, Telescoping Steering Wheel, Steering Wheel Radio Controls, Sunroof, Moonroof, Driver Airbag, Passenger Airbag, Side Airbags, Keyless Entry, Security System, ABS Brakes, Traction Control, Dynamic Stability, Rear Defogger, Fog Lights, Intermittent Wipers, AM/FM, CD Player, Anti-Theft, Alloy Wheels, Sport Package, Luxury Model, Mirror Package, Premium Package, 8 Speakers, DVD-Audio, harman/kardon® Logic 7® Surround Sound System, Premium audio system: COMAND®, Radio data system, SIRIUS Satellite Radio, Weather band radio, Automatic temperature control, Head restraints memory, Power driver seat, Power Rear Window Sunshade, Steering wheel memory, Comfort Suspension For Elegance, Four wheel independent suspension, 4-Wheel Disc Brakes, Anti-whiplash front head restraints, Dual front impact airbags, Dual front side impact airbags, Emergency communication system: mbrace®2, Front anti-roll bar, Knee airbag, Low tire pressure warning, Occupant sensing airbag, Overhead airbag, Power adjustable front head restraints, Power adjustable rear head restraints, Rear anti-roll bar, Brake assist, Delay-off headlights, Fully automatic headlights, Auto-dimming door mirrors, Bodyside moldings, Bumpers: body-color, Heated door mirrors, Power door mirrors, Power Folding Mirrors, Turn signal indicator mirrors, Auto-dimming Rear-View mirror, COMAND® Navigation, Driver door bin, Driver vanity mirror, Front reading lights, Genuine wood console insert, Genuine wood dashboard insert, Genuine wood door panel insert, Illuminated entry, Multi-Year Update, Outside temperature display, Overhead console, Passenger vanity mirror, Power Adjustable Front Seats, Rear reading lights, Rear seat center armrest, Telescoping steering wheel, Front Bucket Seats, Front Center Armrest, Heated Front Seats, MB-Tex Upholstery, Split-Folding Rear Seats, Passenger door bin, Rain sensing wipers, MERCEDES BENZ CERTIFIED, MBRACE, PREMIUM PKG Aux. Audio Input, Bluetooth®, Body Side Moldings, Carpeted Floor Mats, Center Arm Rest, Child Proof Door Locks, Daytime Running Lights, Heated Mirrors, Overhead Console, Premium Sound, Rear Fog Lamps, Remote Fuel Door, Remote Trunk Lid, Roll Stability Control, Side Curtain Airbags, Tire Pressure Monitor, Vanity Mirrors - Dealer not responsible for typographical errors of any sort, including but not limited to pricing. Exact mileages may vary. -MERCEDES BENZ CERTIFIED, MBRACE, PREMIUM PKG, 4MATIC®, COMAND® Navigation, Comfort Suspension For Elegance, harman/kardon® Logic 7® Surround Sound System, Heated Front Seats, Luxury Model, Mirror Package, Multi-Year Update, Power Folding Mirrors, Power Rear Window Sunshade, Premium Package, SIRIUS Satellite Radio, Split-Folding Rear Seats. MERCEDES BENZ CERTIFIED, SUNROOF MOONROOF, NAVIGATION GPS NAV, MBRACE, 4MATIC®, Adaptive Highbeam Assist, Blind Spot Assist, COMAND® Navigation, Full-LED Headlamps with Active Curve Illumination, harman/kardon® Logic 7® Surround Sound System, Heated Front Seats, Lane Keeping Assist, Lane Tracking Package, Lighting Package, Mirror Package, Multi-Year Update, Power Folding Mirrors, Power Rear Window Sunshade, Premium Package, SIRIUS Satellite Radio, Split-Folding Rear Seats, Sport Package. CARFAX One-Owner. Clean CARFAX. Certified. Mercedes-Benz Certified Pre-Owned Details: * Warranty Deductible: $0 * Vehicle History * Transferable Warranty * Includes Trip Interruption Reimbursement and 7 days/500 miles Exchange Privilege * Limited Warranty: 12 Month/Unlimited Mile beginning after new car warranty expires or from certified purchase date * 165 Point Inspection * Roadside Assistance Odometer is 7230 miles below market average! 20/28 City/Highway MPG MERCEDES BENZ OF GREENWICH...WHERE THE RELATIONSHIP IS EVERYTHING. Air Conditioning, Climate Control, Dual Zone Climate Control, Cruise Control, Power Steering, Power Mirrors, Leather Steering Wheel, Power Drivers Seat, Power Passenger Seat, Memory Seat Position, Clock, Tachometer, Homelink System, Telescoping Steering Wheel, Steering Wheel Radio Controls, Sunroof, Moonroof, Driver Airbag, Passenger Airbag, Side Airbags, Keyless Entry, Security System, Rear Defogger, Intermittent Wipers, AM/FM, CD Player, Sport Package, Leather Interior Surface, Aux. Audio Input, Bluetooth®, Body Side Moldings, Carpeted Floor Mats, Center Arm Rest, Child Proof Door Locks, Daytime Running Lights, Heated Mirrors, Overhead Console, Rear Fog Lamps, Remote Fuel Door, Remote Trunk Lid, Roll Stability Control, Side Curtain Airbags, Tire Pressure Monitor, Vanity Mirrors - Dealer not responsible for typographical errors of any sort, including but not limited to pricing. Exact mileages may vary. -MERCEDES BENZ CERTIFIED, SUNROOF MOONROOF, NAVIGATION GPS NAV, MBRACE, 4MATIC®, Adaptive Highbeam Assist, Blind Spot Assist, COMAND® Navigation, Full-LED Headlamps with Active Curve Illumination, harman/kardon® Logic 7® Surround Sound System, Heated Front Seats, Lane Keeping Assist, Lane Tracking Package, Lighting Package, Mirror Package, Multi-Year Update, Power Folding Mirrors, Power Rear Window Sunshade, Premium Package, SIRIUS Satellite Radio, Split-Folding Rear Seats, Sport Package. MERCEDES BENZ CERTIFIED, SPORTS PKG, NAVIGATION GPS NAV, MBRACE, PREMIUM PKG, 4MATIC®, Blind Spot Assist, COMAND® Navigation, harman/kardon® Logic 7® Surround Sound System, Heated Front Seats, Lane Keeping Assist, Lane Keeping Assist Package Code, Lane Tracking Package, Mirror Package, Multi-Year Update, Power Folding Mirrors, Power Rear Window Sunshade, Premium Package, SIRIUS Satellite Radio, Split-Folding Rear Seats, Sport Package. CARFAX One-Owner. Clean CARFAX. Certified. Mercedes-Benz Certified Pre-Owned Details: * Vehicle History * Includes Trip Interruption Reimbursement and 7 days/500 miles Exchange Privilege * Limited Warranty: 12 Month/Unlimited Mile beginning after new car warranty expires or from certified purchase date * Warranty Deductible: $0 * Transferable Warranty * Roadside Assistance * 165 Point Inspection Odometer is 2196 miles below market average! 20/28 City/Highway MPG MERCEDES BENZ OF GREENWICH...WHERE THE RELATIONSHIP IS EVERYTHING. Air Conditioning, Climate Control, Dual Zone Climate Control, Cruise Control, Power Steering, Power Windows, Power Mirrors, Leather Steering Wheel, Leather Shifter, Power Drivers Seat, Power Passenger Seat, Memory Seat Position, Wood Trim, Clock, Tachometer, Digital Info Center, Homelink System, Tilt Steering Wheel, Telescoping Steering Wheel, Steering Wheel Radio Controls, Sunroof, Moonroof, Driver Airbag, Passenger Airbag, Side Airbags, Keyless Entry, Security System, ABS Brakes, Traction Control, Dynamic Stability, Rear Defogger, Fog Lights, Intermittent Wipers, AM/FM, CD Player, Anti-Theft, Alloy Wheels, Sport Package, Power Adjustable Front Seats, MB-Tex Upholstery, Steering wheel memory, Telescoping steering wheel, Turn signal indicator mirrors, Weather band radio, Auto-dimming Rear-View mirror, 8 Speakers, Premium audio system: COMAND®, Forward collision: Collision Prevention Assist Plus mitigation, Emergency communication system: mbrace®2, 4-Wheel Disc Brakes, Front Bucket Seats, Front Center Armrest, Anti-whiplash front head restraints, Auto-dimming door mirrors, Automatic temperature control, Bodyside moldings, Brake assist, Bumpers: body-color, DVD-Audio, Delay-off headlights, Driver door bin, Driver vanity mirror, Dual front impact airbags, Dual front side impact airbags, Four wheel independent suspension, Front anti-roll bar, Front reading lights, Fully automatic headlights, Genuine wood console insert, Genuine wood dashboard insert, Genuine wood door panel insert, Head restraints memory, Heated door mirrors, Illuminated entry, Knee airbag, Low tire pressure warning, Occupant sensing airbag, Outside temperature display, Overhead airbag, Overhead console, Passenger door bin, Passenger vanity mirror, Power adjustable front head restraints, Power adjustable rear head restraints, Power door mirrors, Power driver seat, Radio data system, Rain sensing wipers, Rear anti-roll bar, Rear reading lights, Rear seat center armrest Aux. Audio Input, Bluetooth®, Body Side Moldings, Carpeted Floor Mats, Center Arm Rest, Child Proof Door Locks, Daytime Running Lights, Heated Mirrors, Overhead Console, Premium Sound, Rear Fog Lamps, Remote Fuel Door, Remote Trunk Lid, Roll Stability Control, Side Curtain Airbags, Tire Pressure Monitor, Vanity Mirrors - Dealer not responsible for typographical errors of any sort, including but not limited to pricing. Exact mileages may vary. -MERCEDES BENZ CERTIFIED, SPORTS PKG, NAVIGATION GPS NAV, MBRACE, PREMIUM PKG, 4MATIC®, Blind Spot Assist, COMAND® Navigation, harman/kardon® Logic 7® Surround Sound System, Heated Front Seats, Lane Keeping Assist, Lane Keeping Assist Package Code, Lane Tracking Package, Mirror Package, Multi-Year Update, Power Folding Mirrors, Power Rear Window Sunshade, Premium Package, SIRIUS Satellite Radio, Split-Folding Rear Seats, Sport Package. MERCEDES BENZ CERTIFIED, PANORAMIC ROOF, MBRACE, RARE OPTION VEHICLE, 115V AC Power Outlet, Active Blind Spot Assist, Active Lane Keeping Assist, Badging on Dashboard, BAS® PLUS with Cross-Traffic Assist, COMAND® Single CD/DVD, DISTRONIC PLUS® with Steering Assist, DISTRONIC PLUS® with Pre-Safe Brake, Driver Assistance Package, Driver Assistance Package (23P), DVD Coding, Entrance Lamps In Doors, KEYLESS GO, Multimedia Package, Navigation Map Updates For 3 Years, Premium Package, PRESAFE® Brake with Pedestrian Recognition, PRESAFE® PLUS, PRESAFE® Plus Rear-End Collision Protection, Radio: COMAND® System with Navigation, SiriusXM Satellite Radio, Speed Limit Assist. CARFAX One-Owner. Clean CARFAX. Certified. Mercedes-Benz Certified Pre-Owned Details: * Roadside Assistance * Limited Warranty: 12 Month/Unlimited Mile beginning after new car warranty expires or from certified purchase date * 165 Point Inspection * Warranty Deductible: $0 * Transferable Warranty * Vehicle History * Includes Trip Interruption Reimbursement and 7 days/500 miles Exchange Privilege 21/28 City/Highway MPG MERCEDES BENZ OF GREENWICH...WHERE THE RELATIONSHIP IS EVERYTHING. Air Conditioning, Climate Control, Dual Zone Climate Control, Cruise Control, Tinted Windows, Power Steering, Power Windows, Power Mirrors, Leather Steering Wheel, Leather Shifter, Power Drivers Seat, Power Passenger Seat, Memory Seat Position, Roof Rack, Clock, Tachometer, Digital Info Center, Tilt Steering Wheel, Telescoping Steering Wheel, Steering Wheel Radio Controls, Driver Airbag, Passenger Airbag, Side Airbags, Keyless Entry, Security System, ABS Brakes, Traction Control, Dynamic Stability, Rear Defogger, Fog Lights, Intermittent Wipers, AM/FM, CD Player, Anti-Theft, Alloy Wheels, Driver Assistance Package, Driver Assistance Package (23P), Multimedia Package, Premium Package, 6 Speakers, COMAND® Single CD/DVD, DVD-Audio, Premium audio system: COMAND®, Radio data system, Radio: Audio 20 with Single CD/DVD, Radio: COMAND® System with Navigation, SiriusXM Satellite Radio, Weather band radio, Automatic temperature control, Power driver seat, Steering wheel memory, Four wheel independent suspension, 4-Wheel Disc Brakes, Anti-whiplash front head restraints, Badging on Dashboard, BAS® PLUS with Cross-Traffic Assist, Child-Seat-Sensing Airbag, Dual front impact airbags, Dual front side impact airbags, Emergency communication system: mbrace®2, Front anti-roll bar, Knee airbag, Low tire pressure warning, Occupant sensing airbag, Overhead airbag, Power adjustable front head restraints, PRESAFE® Brake with Pedestrian Recognition, Rear anti-roll bar, Power Liftgate, Active Blind Spot Assist, Active Lane Keeping Assist, Brake assist, Exterior Parking Camera Rear, Delay-off headlights, Fully automatic headlights, DISTRONIC PLUS® with Pre-Safe Brake, Auto-dimming door mirrors, Bumpers: body-color, Heated door mirrors, Power door mirrors, Spoiler, Turn signal indicator mirrors, 115V AC Power Outlet, Auto-dimming Rear-View mirror, DISTRONIC PLUS® with Steering Assist, Driver door bin, Driver vanity mirror, DVD Coding, Entrance Lamps In Doors, Front reading lights, Genuine wood console insert, Genuine wood dashboard insert, Genuine wood door panel insert, Illuminated entry, Navigation Map Updates For 3 Years, Outside temperature display, Passenger vanity mirror, PRESAFE® PLUS, PRESAFE® Plus Rear-End Collision Protection, Rear seat center armrest, Telescoping steering wheel, Front Bucket Seats, Front Center Armrest, MB-Tex Upholstery, Split folding rear seat, Passenger door bin, Rain sensing wipers, Rear window wiper, TBD Axle Ratio, MERCEDES BENZ CERTIFIED, PANORAMIC ROOF, MBRACE, RARE OPTION VEHICLE Bluetooth®, Carpeted Floor Mats, Center Arm Rest, Child Proof Door Locks, Daytime Running Lights, Heated Mirrors, Panoramic Roof, Power Lift Gate, Rear Fog Lamps, Rear Spoiler, Rear Spoiler, Rear Wipers, Remote Trunk Lid, Reverse Camera, Roll Stability Control, Side Curtain Airbags, Tire Pressure Monitor, Vanity Mirrors - Dealer not responsible for typographical errors of any sort, including but not limited to pricing. Exact mileages may vary. -MERCEDES BENZ CERTIFIED, PANORAMIC ROOF, MBRACE, RARE OPTION VEHICLE, 115V AC Power Outlet, Active Blind Spot Assist, Active Lane Keeping Assist, Badging on Dashboard, BAS® PLUS with Cross-Traffic Assist, COMAND® Single CD/DVD, DISTRONIC PLUS® with Steering Assist, DISTRONIC PLUS® with Pre-Safe Brake, Driver Assistance Package, Driver Assistance Package (23P), DVD Coding, Entrance Lamps In Doors, KEYLESS GO, Multimedia Package, Navigation Map Updates For 3 Years, Premium Package, PRESAFE® Brake with Pedestrian Recognition, PRESAFE® PLUS, PRESAFE® Plus Rear-End Collision Protection, Radio: COMAND® System with Navigation, SiriusXM Satellite Radio, Speed Limit Assist. MERCEDES BENZ CERTIFIED, FACTORY MAINTENANCE UP TO DATE, SERVICE RECORDS AVAILABLE, NAVIGATION GPS NAV, MBRACE, PREMIUM PKG, 4MATIC®, Adaptive Highbeam Assist, Blind Spot Assist, Full-LED Headlamps with Active Curve Illumination, Lane Keeping Assist, Lane Keeping Assist Package Code, Lane Tracking Package, Lighting Package. CARFAX One-Owner. Clean CARFAX. Certified. Mercedes-Benz Certified Pre-Owned Details: * Warranty Deductible: $0 * Transferable Warranty * Includes Trip Interruption Reimbursement and 7 days/500 miles Exchange Privilege * Roadside Assistance * Vehicle History * Limited Warranty: 12 Month/Unlimited Mile beginning after new car warranty expires or from certified purchase date * 165 Point Inspection Odometer is 5699 miles below market average! 20/28 City/Highway MPG MERCEDES BENZ OF GREENWICH...WHERE THE RELATIONSHIP IS EVERYTHING. Air Conditioning, Climate Control, Dual Zone Climate Control, Cruise Control, Power Steering, Power Windows, Power Mirrors, Leather Steering Wheel, Leather Shifter, Power Drivers Seat, Power Passenger Seat, Memory Seat Position, Wood Trim, Clock, Tachometer, Digital Info Center, Homelink System, Tilt Steering Wheel, Telescoping Steering Wheel, Steering Wheel Radio Controls, Sunroof, Moonroof, Driver Airbag, Passenger Airbag, Side Airbags, Keyless Entry, Security System, ABS Brakes, Traction Control, Dynamic Stability, Rear Defogger, Fog Lights, Intermittent Wipers, AM/FM, CD Player, Anti-Theft, Alloy Wheels, Sport Package, Lane Keeping Assist Package Code, Lane Tracking Package, Lighting Package, 8 Speakers, DVD-Audio, Premium audio system: COMAND®, Radio data system, Weather band radio, Automatic temperature control, Head restraints memory, Power driver seat, Steering wheel memory, Four wheel independent suspension, 4-Wheel Disc Brakes, Anti-whiplash front head restraints, Dual front impact airbags, Dual front side impact airbags, Emergency communication system: mbrace®2, Front anti-roll bar, Knee airbag, Low tire pressure warning, Occupant sensing airbag, Overhead airbag, Power adjustable front head restraints, Power adjustable rear head restraints, Rear anti-roll bar, Blind Spot Assist, Brake assist, Lane Keeping Assist, Adaptive Highbeam Assist, Delay-off headlights, Fully automatic headlights, Auto-dimming door mirrors, Bodyside moldings, Bumpers: body-color, Full-LED Headlamps with Active Curve Illumination, Heated door mirrors, Power door mirrors, Turn signal indicator mirrors, Auto-dimming Rear-View mirror, Driver door bin, Driver vanity mirror, Front reading lights, Genuine wood console insert, Genuine wood dashboard insert, Genuine wood door panel insert, Illuminated entry, Outside temperature display, Overhead console, Passenger vanity mirror, Power Adjustable Front Seats, Rear reading lights, Rear seat center armrest, Telescoping steering wheel, Front Bucket Seats, Front Center Armrest, MB-Tex Upholstery, Passenger door bin, Rain sensing wipers, MERCEDES BENZ CERTIFIED, FACTORY MAINTENANCE UP TO DATE, SERVICE RECORDS AVAILABLE, NAVIGATION GPS NAV, MBRACE, PREMIUM PKG Aux. Audio Input, Bluetooth®, Body Side Moldings, Carpeted Floor Mats, Center Arm Rest, Child Proof Door Locks, Daytime Running Lights, Heated Mirrors, Overhead Console, Premium Sound, Rear Fog Lamps, Remote Fuel Door, Remote Trunk Lid, Roll Stability Control, Side Curtain Airbags, Tire Pressure Monitor, Vanity Mirrors - Dealer not responsible for typographical errors of any sort, including but not limited to pricing. Exact mileages may vary. -MERCEDES BENZ CERTIFIED, FACTORY MAINTENANCE UP TO DATE, SERVICE RECORDS AVAILABLE, NAVIGATION GPS NAV, MBRACE, PREMIUM PKG, 4MATIC®, Adaptive Highbeam Assist, Blind Spot Assist, Full-LED Headlamps with Active Curve Illumination, Lane Keeping Assist, Lane Keeping Assist Package Code, Lane Tracking Package, Lighting Package. INCLUDES WARRANTY, NAVIGATION GPS NAV, PANORAMIC ROOF, RECENT TRADE IN, MBRACE, PREMIUM PKG, REAR ENTERTAINMENT SYSTEM. Clean CARFAX. 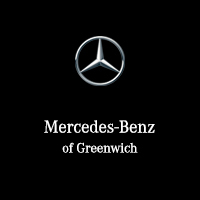 MERCEDES BENZ OF GREENWICH...WHERE THE RELATIONSHIP IS EVERYTHING. Air Conditioning, Climate Control, Dual Zone Climate Control, Cruise Control, Tinted Windows, Power Steering, Power Windows, Power Mirrors, Leather Steering Wheel, Leather Shifter, Power Drivers Seat, Power Passenger Seat, Memory Seat Position, Roof Rack, Rear Air Conditioning, Wood Trim, Clock, Tachometer, Digital Info Center, Homelink System, Tilt Steering Wheel, Telescoping Steering Wheel, Steering Wheel Radio Controls, Sunroof, Moonroof, Driver Airbag, Passenger Airbag, Side Airbags, Keyless Entry, Security System, ABS Brakes, Traction Control, Dynamic Stability, Rear Defogger, Fog Lights, Intermittent Wipers, AM/FM, CD Player, CD Changer, Anti-Theft, 3.46 Axle Ratio, 21 x 10J AMG® Twin 5-Spoke Wheels, Heated/Ventilated Multi-Contour Front Bucket Seats, Leather Upholstery, Radio: COMAND® System with Hard Drive Navigation, SIRIUS XM Radio, harman/kardon® Logic 7® Surround Sound System, 4-Wheel Disc Brakes, Front Bucket Seats, Power Liftgate, Spoiler, 3rd row seats: split-bench, Adaptive suspension, Anti-whiplash front head restraints, Auto-dimming door mirrors, Auto-leveling suspension, Automatic temperature control, Bodyside moldings, Brake assist, Bumpers: body-color, DVD-Audio, Delay-off headlights, Door auto-latch, Driver door bin, Driver vanity mirror, Dual front impact airbags, Dual front side impact airbags, Four wheel independent suspension, Front anti-roll bar, Front reading lights, Fully automatic headlights, Genuine wood console insert, Genuine wood dashboard insert, Genuine wood door panel insert, Headlight cleaning, Heated door mirrors, Heated front seats, Illuminated entry, Illuminated running boards, Knee airbag, Low tire pressure warning, Occupant sensing airbag, Outside temperature display, Overhead airbag, Overhead console, Passenger door bin, Passenger vanity mirror, Power adjustable front head restraints, Power door mirrors, Power driver seat, Rain sensing wipers, Rear anti-roll bar, Rear reading lights, Rear seat center armrest, Rear window wiper, Split folding rear seat, Steering wheel memory, Telescoping steering wheel, Turn signal indicator mirrors, Ventilated front seats, Weather band radio, Rear beverage holders, Auto-dimming Rear-View mirror, Child-Seat-Sensing Airbag, 14 Speakers, Compass, Front Center Armrest with Storage, High intensity discharge headlights: Bi-Xenon, Navigation system: COMAND®, Premium audio system: COMAND®, Exterior Parking Camera Rear, Auto High-beam Headlights, Blind spot sensor: Blind Spot Assist warning, harman/kardon® Speakers, Emergency communication system: mbrace®2 3rd Row Seating, Adaptive headlights, Air Conditioned Seats, Aux. Audio Input, Bluetooth®, Body Side Moldings, Carpeted Floor Mats, Center Arm Rest, Child Proof Door Locks, Daytime Running Lights, Front AC Seats, Front Heated Seats, Heated Mirrors, HID Headlamps, Navigation System, Overhead Console, Power Lift Gate, Premium Sound, Rear Fog Lamps, Rear Spoiler, Rear Spoiler, Rear Wipers, Remote Trunk Lid, Reverse Camera, Roll Stability Control, Running Boards, Side Curtain Airbags, Tire Pressure Monitor, Vanity Mirrors - Dealer not responsible for typographical errors of any sort, including but not limited to pricing. Exact mileages may vary. -INCLUDES WARRANTY, NAVIGATION GPS NAV, PANORAMIC ROOF, RECENT TRADE IN, MBRACE, PREMIUM PKG, REAR ENTERTAINMENT SYSTEM. REMAINDER OF FACTORY WARRANTY, PANORAMIC ROOF, MBRACE, PREMIUM PKG, EX LOANER FOR LESS, Auto-Dimming Mirrors, Blind Spot Assist, Compass, Convenience Package, Garage Door Opener, HANDS-FREE ACCESS, Heated Front Seats, KEYLESS GO, Premium Package, SiriusXM Satellite Radio. Clean CARFAX. Odometer is 5498 miles below market average! 24/32 City/Highway MPG MERCEDES BENZ OF GREENWICH...WHERE THE RELATIONSHIP IS EVERYTHING. Air Conditioning, Climate Control, Dual Zone Climate Control, Cruise Control, Power Steering, Power Windows, Power Mirrors, Leather Steering Wheel, Power Passenger Seat, Memory Seat Position, Clock, Tachometer, Digital Info Center, Tilt Steering Wheel, Telescoping Steering Wheel, Steering Wheel Radio Controls, Driver Airbag, Passenger Airbag, Side Airbags, Keyless Entry, Security System, ABS Brakes, Traction Control, Dynamic Stability, Rear Defogger, Fog Lights, Intermittent Wipers, AM/FM, CD Player, Anti-Theft, Alloy Wheels, Convenience Package, Premium Package, 8 Speakers, Radio data system, Radio: Audio 20 CD with Garmin Navigation Pre-Wiring, SiriusXM Satellite Radio, Automatic temperature control, Garage Door Opener, Power driver seat, Four wheel independent suspension, 4-Wheel Disc Brakes, Child-Seat-Sensing Airbag, Dual front impact airbags, Dual front side impact airbags, Emergency communication system: mbrace®, Front anti-roll bar, HANDS-FREE ACCESS, Knee airbag, Low tire pressure warning, Occupant sensing airbag, Overhead airbag, Rear anti-roll bar, Blind Spot Assist, Brake assist, Exterior Parking Camera Rear, Delay-off headlights, Fully automatic headlights, Auto-Dimming Mirrors, Bumpers: body-color, Heated door mirrors, Power door mirrors, Turn signal indicator mirrors, Compass, Driver door bin, Driver vanity mirror, Front reading lights, Illuminated entry, Outside temperature display, Overhead console, Passenger vanity mirror, Rear reading lights, Rear seat center armrest, Telescoping steering wheel, Front Bucket Seats, Front Center Armrest, Heated Front Seats, MB-Tex Leatherette Seat Trim, Split folding rear seat, Passenger door bin, Rain sensing wipers, REMAINDER OF FACTORY WARRANTY, MBRACE, EX LOANER FOR LESS Bluetooth®, Carpeted Floor Mats, Center Arm Rest, Child Proof Door Locks, Daytime Running Lights, Heated Mirrors, Overhead Console, Rear Fog Lamps, Reverse Camera, Roll Stability Control, Side Curtain Airbags, Tire Pressure Monitor, Vanity Mirrors - Dealer not responsible for typographical errors of any sort, including but not limited to pricing. Exact mileages may vary. -REMAINDER OF FACTORY WARRANTY, PANORAMIC ROOF, MBRACE, PREMIUM PKG, EX LOANER FOR LESS, Auto-Dimming Mirrors, Blind Spot Assist, Compass, Convenience Package, Garage Door Opener, HANDS-FREE ACCESS, Heated Front Seats, KEYLESS GO, Premium Package, SiriusXM Satellite Radio. MERCEDES BENZ CERTIFIED, SPORTS PKG, MBRACE, PREMIUM PKG, LANE DETECTOR, 4MATIC®. Clean CARFAX. Certified. Mercedes-Benz Certified Pre-Owned Details: * Includes Trip Interruption Reimbursement and 7 days/500 miles Exchange Privilege * 165 Point Inspection * Transferable Warranty * Roadside Assistance * Warranty Deductible: $0 * Limited Warranty: 12 Month/Unlimited Mile beginning after new car warranty expires or from certified purchase date * Vehicle History Odometer is 8360 miles below market average! 20/28 City/Highway MPG MERCEDES BENZ OF GREENWICH...WHERE THE RELATIONSHIP IS EVERYTHING. Air Conditioning, Climate Control, Dual Zone Climate Control, Cruise Control, Power Steering, Power Windows, Power Mirrors, Leather Steering Wheel, Leather Shifter, Power Drivers Seat, Power Passenger Seat, Memory Seat Position, Wood Trim, Clock, Tachometer, Digital Info Center, Homelink System, Tilt Steering Wheel, Telescoping Steering Wheel, Steering Wheel Radio Controls, Sunroof, Moonroof, Driver Airbag, Passenger Airbag, Side Airbags, Keyless Entry, Security System, ABS Brakes, Traction Control, Dynamic Stability, Rear Defogger, Fog Lights, Intermittent Wipers, AM/FM, CD Player, Anti-Theft, Alloy Wheels, Sport Package, Power Adjustable Front Seats, MB-Tex Upholstery, Steering wheel memory, Telescoping steering wheel, Turn signal indicator mirrors, Weather band radio, Auto-dimming Rear-View mirror, 8 Speakers, Premium audio system: COMAND®, Forward collision: Collision Prevention Assist Plus mitigation, Emergency communication system: mbrace®2, 4-Wheel Disc Brakes, Front Bucket Seats, Front Center Armrest, Anti-whiplash front head restraints, Auto-dimming door mirrors, Automatic temperature control, Bodyside moldings, Brake assist, Bumpers: body-color, DVD-Audio, Delay-off headlights, Driver door bin, Driver vanity mirror, Dual front impact airbags, Dual front side impact airbags, Four wheel independent suspension, Front anti-roll bar, Front reading lights, Fully automatic headlights, Genuine wood console insert, Genuine wood dashboard insert, Genuine wood door panel insert, Head restraints memory, Heated door mirrors, Illuminated entry, Knee airbag, Low tire pressure warning, Occupant sensing airbag, Outside temperature display, Overhead airbag, Overhead console, Passenger door bin, Passenger vanity mirror, Power adjustable front head restraints, Power adjustable rear head restraints, Power door mirrors, Power driver seat, Radio data system, Rain sensing wipers, Rear anti-roll bar, Rear reading lights, Rear seat center armrest Aux. Audio Input, Bluetooth®, Body Side Moldings, Carpeted Floor Mats, Center Arm Rest, Child Proof Door Locks, Daytime Running Lights, Heated Mirrors, Overhead Console, Premium Sound, Rear Fog Lamps, Remote Fuel Door, Remote Trunk Lid, Roll Stability Control, Side Curtain Airbags, Tire Pressure Monitor, Vanity Mirrors - Dealer not responsible for typographical errors of any sort, including but not limited to pricing. Exact mileages may vary. -MERCEDES BENZ CERTIFIED, SPORTS PKG, MBRACE, PREMIUM PKG, LANE DETECTOR, 4MATIC®. MERCEDES BENZ CERTIFIED, NAVIGATION GPS NAV, PANORAMIC ROOF, PREMIUM PKG, LOADED WITH OPTIONS $53500 MSRP, 115V AC Power Outlet, Adaptive Highbeam Assist, AMG® Bodystyling, COMAND® Single CD/DVD, DVD Coding, Entrance Lamps In Doors, Full-LED Headlamps with Active Curve Illumination, KEYLESS GO, Lighting Package, MB-Tex Covered Dashboard & Upper Door Panels, Multimedia Package, Navigation Map Updates For 3 Years, Premium Package, Radio: COMAND® System with Navigation, SiriusXM Satellite Radio, Sport Package, Sport Package Exterior. CARFAX One-Owner. Clean CARFAX. Certified. Mercedes-Benz Certified Pre-Owned Details: * Roadside Assistance * Limited Warranty: 12 Month/Unlimited Mile beginning after new car warranty expires or from certified purchase date * Vehicle History * Includes Trip Interruption Reimbursement and 7 days/500 miles Exchange Privilege * 165 Point Inspection * Warranty Deductible: $0 * Transferable Warranty Odometer is 9300 miles below market average! 21/28 City/Highway MPG MERCEDES BENZ OF GREENWICH...WHERE THE RELATIONSHIP IS EVERYTHING. Air Conditioning, Climate Control, Dual Zone Climate Control, Cruise Control, Tinted Windows, Power Steering, Power Windows, Power Mirrors, Leather Steering Wheel, Leather Shifter, Power Drivers Seat, Power Passenger Seat, Memory Seat Position, Roof Rack, Clock, Tachometer, Digital Info Center, Tilt Steering Wheel, Telescoping Steering Wheel, Steering Wheel Radio Controls, Driver Airbag, Passenger Airbag, Side Airbags, Keyless Entry, Security System, ABS Brakes, Traction Control, Dynamic Stability, Rear Defogger, Fog Lights, Intermittent Wipers, AM/FM, CD Player, Anti-Theft, Alloy Wheels, TBD Axle Ratio, Front Bucket Seats, MB-Tex Upholstery, Radio: Audio 20 with Single CD/DVD, 4-Wheel Disc Brakes, 6 Speakers, Front Center Armrest, Power Liftgate, Spoiler, Anti-whiplash front head restraints, Auto-dimming door mirrors, Automatic temperature control, Brake assist, Bumpers: body-color, DVD-Audio, Delay-off headlights, Driver door bin, Driver vanity mirror, Dual front impact airbags, Dual front side impact airbags, Four wheel independent suspension, Front anti-roll bar, Front reading lights, Fully automatic headlights, Genuine wood console insert, Genuine wood dashboard insert, Genuine wood door panel insert, Heated door mirrors, Illuminated entry, Knee airbag, Low tire pressure warning, Occupant sensing airbag, Outside temperature display, Overhead airbag, Passenger door bin, Passenger vanity mirror, Power adjustable front head restraints, Power door mirrors, Power driver seat, Radio data system, Rain sensing wipers, Rear anti-roll bar, Rear seat center armrest, Rear window wiper, Split folding rear seat, Steering wheel memory, Telescoping steering wheel, Turn signal indicator mirrors, Weather band radio, Auto-dimming Rear-View mirror, Child-Seat-Sensing Airbag, Premium audio system: COMAND®, Exterior Parking Camera Rear, Emergency communication system: mbrace®2 Bluetooth®, Carpeted Floor Mats, Center Arm Rest, Child Proof Door Locks, Daytime Running Lights, Heated Mirrors, Power Lift Gate, Rear Fog Lamps, Rear Spoiler, Rear Spoiler, Rear Wipers, Remote Trunk Lid, Reverse Camera, Roll Stability Control, Side Curtain Airbags, Tire Pressure Monitor, Vanity Mirrors - Dealer not responsible for typographical errors of any sort, including but not limited to pricing. Exact mileages may vary. -MERCEDES BENZ CERTIFIED, NAVIGATION GPS NAV, PANORAMIC ROOF, PREMIUM PKG, LOADED WITH OPTIONS $53500 MSRP, 115V AC Power Outlet, Adaptive Highbeam Assist, AMG® Bodystyling, COMAND® Single CD/DVD, DVD Coding, Entrance Lamps In Doors, Full-LED Headlamps with Active Curve Illumination, KEYLESS GO, Lighting Package, MB-Tex Covered Dashboard & Upper Door Panels, Multimedia Package, Navigation Map Updates For 3 Years, Premium Package, Radio: COMAND® System with Navigation, SiriusXM Satellite Radio, Sport Package, Sport Package Exterior. REMAINDER OF FACTORY WARRANTY, MBRACE, EX LOANER FOR LESS. Clean CARFAX. Odometer is 3513 miles below market average! 23/31 City/Highway MPG MERCEDES BENZ OF GREENWICH...WHERE THE RELATIONSHIP IS EVERYTHING. Air Conditioning, Climate Control, Dual Zone Climate Control, Cruise Control, Tinted Windows, Power Steering, Power Windows, Power Mirrors, Leather Steering Wheel, Power Drivers Seat, Power Passenger Seat, Memory Seat Position, Roof Rack, Clock, Tachometer, Digital Info Center, Tilt Steering Wheel, Telescoping Steering Wheel, Steering Wheel Radio Controls, Driver Airbag, Passenger Airbag, Side Airbags, Keyless Entry, Security System, ABS Brakes, Traction Control, Dynamic Stability, Rear Defogger, Fog Lights, Intermittent Wipers, AM/FM, CD Player, Anti-Theft, Aluminum Wheels, 8 Speakers, Premium audio system: COMAND®, Radio data system, Radio: Audio System with Garmin Navigation Pre-Wiring, Weather band radio, Automatic temperature control, Power driver seat, Four wheel independent suspension, 4-Wheel Disc Brakes, Child-Seat-Sensing Airbag, Dual front impact airbags, Dual front side impact airbags, Emergency communication system, Front anti-roll bar, Knee airbag, Low tire pressure warning, Occupant sensing airbag, Overhead airbag, Rear anti-roll bar, Power Liftgate, Brake assist, Exterior Parking Camera Rear, Delay-off headlights, Fully automatic headlights, Bumpers: body-color, Heated door mirrors, Power door mirrors, Spoiler, Turn signal indicator mirrors, 8 Color Display Upgrade, Driver door bin, Driver vanity mirror, Front reading lights, Illuminated entry, Outside temperature display, Overhead console, Passenger vanity mirror, Rear reading lights, Rear seat center armrest, Telescoping steering wheel, 4-Way Lumbar Support, Front Bucket Seats, Front Center Armrest, MB-Tex Upholstery, Split folding rear seat, Passenger door bin, Rain sensing wipers, Rear window wiper, Axle Ratio: 4.60 Bluetooth®, Carpeted Floor Mats, Center Arm Rest, Child Proof Door Locks, Daytime Running Lights, Heated Mirrors, Overhead Console, Power Lift Gate, Rear Fog Lamps, Rear Spoiler, Rear Spoiler, Rear Wipers, Remote Trunk Lid, Reverse Camera, Roll Stability Control, Side Curtain Airbags, Tire Pressure Monitor, Vanity Mirrors - Dealer not responsible for typographical errors of any sort, including but not limited to pricing. Exact mileages may vary. -REMAINDER OF FACTORY WARRANTY, MBRACE, EX LOANER FOR LESS. REMAINDER OF FACTORY WARRANTY, MBRACE, PREMIUM PKG, Auto-Dimming Rearview & Driver-Side Mirrors, Convenience Package, Garage Door Opener. Clean CARFAX. Odometer is 1771 miles below market average! 23/31 City/Highway MPG MERCEDES BENZ OF GREENWICH...WHERE THE RELATIONSHIP IS EVERYTHING. Air Conditioning, Climate Control, Dual Zone Climate Control, Cruise Control, Tinted Windows, Power Steering, Power Windows, Power Mirrors, Leather Steering Wheel, Power Drivers Seat, Power Passenger Seat, Memory Seat Position, Roof Rack, Clock, Tachometer, Digital Info Center, Tilt Steering Wheel, Telescoping Steering Wheel, Steering Wheel Radio Controls, Driver Airbag, Passenger Airbag, Side Airbags, Keyless Entry, Security System, ABS Brakes, Traction Control, Dynamic Stability, Rear Defogger, Fog Lights, Intermittent Wipers, AM/FM, CD Player, Anti-Theft, Aluminum Wheels, Convenience Package, 8 Speakers, Premium audio system: COMAND®, Radio data system, Radio: Audio System with Garmin Navigation Pre-Wiring, Weather band radio, Automatic temperature control, Garage Door Opener, Power driver seat, Four wheel independent suspension, 4-Wheel Disc Brakes, Child-Seat-Sensing Airbag, Dual front impact airbags, Dual front side impact airbags, Emergency communication system: mbrace®, Front anti-roll bar, Knee airbag, Low tire pressure warning, Occupant sensing airbag, Overhead airbag, Rear anti-roll bar, Power Liftgate, Brake assist, Exterior Parking Camera Rear, Delay-off headlights, Fully automatic headlights, Auto-Dimming Rearview & Driver-Side Mirrors, Bumpers: body-color, Heated door mirrors, Power door mirrors, Spoiler, Turn signal indicator mirrors, 8 Color Display Upgrade, Driver door bin, Driver vanity mirror, Front reading lights, Illuminated entry, Outside temperature display, Overhead console, Passenger vanity mirror, Rear reading lights, Rear seat center armrest, Telescoping steering wheel, 4-Way Lumbar Support, Front Bucket Seats, Front Center Armrest, MB-Tex Upholstery, Split folding rear seat, Passenger door bin, Rain sensing wipers, Rear window wiper, Axle Ratio: 4.60, REMAINDER OF FACTORY WARRANTY, MBRACE, PREMIUM PKG Bluetooth®, Carpeted Floor Mats, Center Arm Rest, Child Proof Door Locks, Daytime Running Lights, Heated Mirrors, Overhead Console, Power Lift Gate, Rear Fog Lamps, Rear Spoiler, Rear Spoiler, Rear Wipers, Remote Trunk Lid, Reverse Camera, Roll Stability Control, Side Curtain Airbags, Tire Pressure Monitor, Vanity Mirrors - Dealer not responsible for typographical errors of any sort, including but not limited to pricing. Exact mileages may vary. -REMAINDER OF FACTORY WARRANTY, MBRACE, PREMIUM PKG, Auto-Dimming Rearview & Driver-Side Mirrors, Convenience Package, Garage Door Opener. MERCEDES BENZ CERTIFIED, NAVIGATION GPS NAV, PANORAMIC ROOF, MBRACE, PREMIUM PKG. CARFAX One-Owner. Clean CARFAX. Certified. Mercedes-Benz Certified Pre-Owned Details: * 165 Point Inspection * Vehicle History * Includes Trip Interruption Reimbursement and 7 days/500 miles Exchange Privilege * Limited Warranty: 12 Month/Unlimited Mile beginning after new car warranty expires or from certified purchase date * Warranty Deductible: $0 * Transferable Warranty * Roadside Assistance Odometer is 8622 miles below market average! MERCEDES BENZ OF GREENWICH...WHERE THE RELATIONSHIP IS EVERYTHING. Air Conditioning, Climate Control, Dual Zone Climate Control, Cruise Control, Tinted Windows, Power Steering, Power Windows, Power Mirrors, Leather Steering Wheel, Leather Shifter, Power Passenger Seat, Memory Seat Position, Roof Rack, Wood Trim, Clock, Tachometer, Digital Info Center, Homelink System, Tilt Steering Wheel, Telescoping Steering Wheel, Steering Wheel Radio Controls, Sunroof, Moonroof, Driver Airbag, Passenger Airbag, Side Airbags, Keyless Entry, Security System, ABS Brakes, Traction Control, Dynamic Stability, Rear Defogger, Fog Lights, Intermittent Wipers, AM/FM, CD Player, Anti-Theft, Alloy Wheels, 3.90 Axle Ratio, Heated Front Bucket Seats, MB-Tex Leatherette Seat Trim, Power Front Seats with Driver Memory, 4-Way Lumbar Support, 4-Wheel Disc Brakes, Front Bucket Seats, Front Center Armrest, Power Liftgate, Spoiler, Adjustable head restraints: driver and passenger, Anti-whiplash front head restraints, Auto-dimming door mirrors, Automatic temperature control, Brake assist, Bumpers: body-color, DVD-Audio, Delay-off headlights, Driver door bin, Driver vanity mirror, Dual front impact airbags, Dual front side impact airbags, Four wheel independent suspension, Front anti-roll bar, Front reading lights, Fully automatic headlights, Genuine wood console insert, Genuine wood dashboard insert, Heated door mirrors, Heated front seats, Illuminated entry, Knee airbag, Low tire pressure warning, Occupant sensing airbag, Outside temperature display, Overhead airbag, Passenger door bin, Passenger vanity mirror, Power door mirrors, Power driver seat, Radio data system, Rain sensing wipers, Rear anti-roll bar, Rear reading lights, Rear seat center armrest, Rear window wiper, Split folding rear seat, Steering wheel memory, Telescoping steering wheel, Turn signal indicator mirrors, Weather band radio, Auto-dimming Rear-View mirror, 8 Speakers, Compass, Emergency communication system: mbrace®2 Air Conditioned Seats, Aux. Audio Input, Bluetooth®, Carpeted Floor Mats, Center Arm Rest, Child Proof Door Locks, Daytime Running Lights, Front AC Seats, Front Heated Seats, Heated Mirrors, Power Lift Gate, Rear Fog Lamps, Rear Spoiler, Rear Spoiler, Rear Wipers, Remote Trunk Lid, Roll Stability Control, Side Curtain Airbags, Tire Pressure Monitor, Vanity Mirrors - Dealer not responsible for typographical errors of any sort, including but not limited to pricing. Exact mileages may vary. -MERCEDES BENZ CERTIFIED, NAVIGATION GPS NAV, PANORAMIC ROOF, MBRACE, PREMIUM PKG. REMAINDER OF FACTORY WARRANTY, MBRACE, ex loaner for less. Clean CARFAX. Odometer is 3079 miles below market average! 24/32 City/Highway MPG MERCEDES BENZ OF GREENWICH...WHERE THE RELATIONSHIP IS EVERYTHING. Air Conditioning, Climate Control, Dual Zone Climate Control, Cruise Control, Power Steering, Power Windows, Power Mirrors, Leather Steering Wheel, Power Passenger Seat, Memory Seat Position, Clock, Tachometer, Digital Info Center, Tilt Steering Wheel, Telescoping Steering Wheel, Steering Wheel Radio Controls, Driver Airbag, Passenger Airbag, Side Airbags, Keyless Entry, Security System, ABS Brakes, Traction Control, Dynamic Stability, Rear Defogger, Fog Lights, Intermittent Wipers, AM/FM, CD Player, Anti-Theft, Alloy Wheels, 8 Speakers, Radio data system, Radio: Audio 20 CD with Garmin Navigation Pre-Wiring, Automatic temperature control, Power driver seat, Four wheel independent suspension, 4-Wheel Disc Brakes, Child-Seat-Sensing Airbag, Dual front impact airbags, Dual front side impact airbags, Emergency communication system: mbrace®, Front anti-roll bar, Knee airbag, Low tire pressure warning, Occupant sensing airbag, Overhead airbag, Rear anti-roll bar, Brake assist, Exterior Parking Camera Rear, Delay-off headlights, Fully automatic headlights, Bumpers: body-color, Heated door mirrors, Power door mirrors, Turn signal indicator mirrors, Driver door bin, Driver vanity mirror, Front reading lights, Illuminated entry, Outside temperature display, Overhead console, Passenger vanity mirror, Rear reading lights, Rear seat center armrest, Telescoping steering wheel, Front Bucket Seats, Front Center Armrest, MB-Tex Leatherette Seat Trim, Split folding rear seat, Passenger door bin, Rain sensing wipers, REMAINDER OF FACTORY WARRANTY, MBRACE, ex loaner for less Bluetooth®, Carpeted Floor Mats, Center Arm Rest, Child Proof Door Locks, Daytime Running Lights, Heated Mirrors, Overhead Console, Rear Fog Lamps, Reverse Camera, Roll Stability Control, Side Curtain Airbags, Tire Pressure Monitor, Vanity Mirrors - Dealer not responsible for typographical errors of any sort, including but not limited to pricing. Exact mileages may vary. -REMAINDER OF FACTORY WARRANTY, MBRACE, ex loaner for less. REMAINDER OF FACTORY WARRANTY, MBRACE, EX LOANER FOR LESS. Clean CARFAX. Odometer is 3373 miles below market average! 24/32 City/Highway MPG MERCEDES BENZ OF GREENWICH...WHERE THE RELATIONSHIP IS EVERYTHING. Air Conditioning, Climate Control, Dual Zone Climate Control, Cruise Control, Power Steering, Power Windows, Power Mirrors, Leather Steering Wheel, Power Passenger Seat, Memory Seat Position, Clock, Tachometer, Digital Info Center, Tilt Steering Wheel, Telescoping Steering Wheel, Steering Wheel Radio Controls, Driver Airbag, Passenger Airbag, Side Airbags, Keyless Entry, Security System, ABS Brakes, Traction Control, Dynamic Stability, Rear Defogger, Fog Lights, Intermittent Wipers, AM/FM, CD Player, Anti-Theft, Alloy Wheels, 8 Speakers, Radio data system, Radio: Audio 20 CD with Garmin Navigation Pre-Wiring, Automatic temperature control, Power driver seat, Four wheel independent suspension, 4-Wheel Disc Brakes, Child-Seat-Sensing Airbag, Dual front impact airbags, Dual front side impact airbags, Emergency communication system: mbrace®, Front anti-roll bar, Knee airbag, Low tire pressure warning, Occupant sensing airbag, Overhead airbag, Rear anti-roll bar, Brake assist, Exterior Parking Camera Rear, Delay-off headlights, Fully automatic headlights, Bumpers: body-color, Heated door mirrors, Power door mirrors, Turn signal indicator mirrors, Driver door bin, Driver vanity mirror, Front reading lights, Illuminated entry, Outside temperature display, Overhead console, Passenger vanity mirror, Rear reading lights, Rear seat center armrest, Telescoping steering wheel, Front Bucket Seats, Front Center Armrest, MB-Tex Leatherette Seat Trim, Split folding rear seat, Passenger door bin, Rain sensing wipers Bluetooth®, Carpeted Floor Mats, Center Arm Rest, Child Proof Door Locks, Daytime Running Lights, Heated Mirrors, Overhead Console, Rear Fog Lamps, Reverse Camera, Roll Stability Control, Side Curtain Airbags, Tire Pressure Monitor, Vanity Mirrors - Dealer not responsible for typographical errors of any sort, including but not limited to pricing. Exact mileages may vary. -REMAINDER OF FACTORY WARRANTY, MBRACE, EX LOANER FOR LESS. There’s no need to compromise on quality when you drive home in a pre-owned vehicle from Mercedes-Benz of Greenwich. We have plenty of used Mercedes-Benz vehicles in stock as well as a rotating selection of used vehicle exclusive offers. We carefully inspect each model for quality, so you know your next used car will be up to the high standards of Mercedes-Benz of Greenwich. Buying or leasing a pre-owned vehicle doesn’t mean you have to give up all of the features you want. Get behind the wheel of a pre-owned Mercedes-Benz model like the E-Class or GLA and take it for a test drive around town. Make sure it includes those interior features you’re looking for then drive it off the lot! After you’ve perused our used inventory online, make your way to our dealership in Greenwich for a closer look. Due to our varied stock of popular pre-owned options, we’re confident that you’ll find a model you love within your budget. Have questions? Feel free to contact us about our used inventory, or the benefits of buying used, before making your way from Rye to take a test drive.